Dynamic parameter choices in evolutionary computation at ACM GECCO 2019. Tutorial slides from the tutorial held at GECCO and PPSN in 2018 are available here: DoerrGECCO18tutorial.pdf. The target audience of this tutorial were researchers who are familiar with evolutionary computation, but I am of course happy to discuss all concepts and ideas in a form that avoids community-specific terminology. Benchmarking iterative optimization heuristics with IOHprofiler at IEEE CEC 2019, together with Hao Wang, Ofer M. Shir, and Thomas Bäck. Member of the Advisory Board of Springer's Natural Computing Series. A short article about nature-inspired optimization and the role of theory is available (in French) at Images des mathématiques. I will try to make an English version available soon. Special thanks to Romain Dujardin for suggesting to write this article and for translating it! IOHprofiler: Together with Hao Wang, Furong Ye, Sander van Rijn, and Thomas Bäck from Leiden University, we have created IOHprofiler, an algorithm benchmarking and profiling tool for iterative optimization heuristics. IOHprofiler on GitHub, here is a (preliminary) documentation, and here you can sign up for the newsletter to receive important updates about IOHprofiler. interactive multi-objective optimization (description (PDF)), joint with Thibaut Lust. I am interested in both theoretical and empirical aspects of these problems. Together with Dirk Arnold I am chairing the program committee of FOGA 2019, which takes place in Potsdam, Germany, from August 26 to 29. Organizing Dagstuhl seminar 19431 on Theory of Randomized Optimization Heuristics (October 20-25, 2019), together with Carlos M. Fonseca, Tobias Friedrich, and Xin Yao. Our university has changed its name from Université Pierre et Marie Curie (Paris 6) to Sorbonne Université. Dirk Sudholt and I have been chairing THEORY track of GECCO 2017. We are now editing a special issue in Algorithmica. I am serving as Vice-chair of COST action 15140 on Improving Applicability of Nature-Inspired Optimisation by Joining Theory and Practice (ImAppNIO), and have also organized our first training school COST training school here in Paris (7 days, 35 participants, 7 teachers). At the moment, I am particularly interested in online algorithm configuration and different aspects of benchmarking. The complete list of publications can be found here. My Google scholar profile and the dblp entry are (more or less) complete (as far as dblp is complete, note that it does not list some of the works on discrepancies). For all other data bases, please note that they are usually incomplete because of the change of my family name in 2012. Winter 2018/19: Lecture on Solving Optimization Problems with Search Heuristics, MPRI (Parisian Master of Computer Science) course 2.24.2, together with Christoph Dürr. Winter 2017/18: Lecture on Solving Optimization Problems with Search Heuristics, MPRI (Parisian Master of Computer Science) course 2.24.2, together with Christoph Dürr. Winter 2016/17: Lecture on Solving Optimization Problems with Search Heuristics, MPRI (Parisian Master of Computer Science) course 2.24.2, together with Christoph Dürr. Winter 2015/16: Lecture on Solving Optimization Problems with Search Heuristics, MPRI (Parisian Master of Computer Science) course 2.24.2, together with Christoph Dürr. Summer Semester 2012: Co-organizer of the seminar Reading Group in Algorithms, together with Kurt Mehlhorn. Winter Semester 2011/12: Co-organizer of the seminar Reading Group in Algorithms, together with Kurt Mehlhorn. Summer Semester 2011: Co-organizer of the seminar Reading Group in Algorithms, together with Kurt Mehlhorn. Summer Semester 2010: Teaching assistant for Algorithms and Randomization held by Chinmoy Dutta, Nikolaos Fountoulakis, and Anna Huber. Co-Advisor of PhD student Quentin Renau (02/2019-). CIFRE thesis with Thales Research, co-supervised with Johann Dreo and Benjamin Doerr. Advisor of PhD student Anja Jankovic (10/2018-). Co-Advisor of PhD student Furong Ye (10/2017-). Co-Advisor of PhD student Jing Yang (10/2015-09/18). PhD student at Ecole Polytechnique, co-supervised with Benjamin Doerr. Advisor of Master student Raphaël Cosson (MPRI, Paris Diderot Univ., summer 2019). Co-Advisor of Master student Vincent Aubry (MPRI, ENS, summer 2019). Co-Advisor of Master student Anissa Kheireddine (Sorbonne University, summer 2019). Co-Advisor of Master student Diederick Vermetten (Leiden University, summer 2019). Advisor of student intern Nathan Buskulic (Sorbonne University, summer 2018). Co-Advisor of Master student Anja Jankovic (Sorbonne University, summer 2018). Advisor of Master student Eduardo Carvalho Pinto (MPRI, Ecole Polytechnique, summer 2017). Co-Advisor of Master student Jing Yang (Ecole Polytechnique, summer 2015). Co-Advisor of Master student Axel de Perthuis de Laillevault (Ecole Polytechnique, summer 2014). 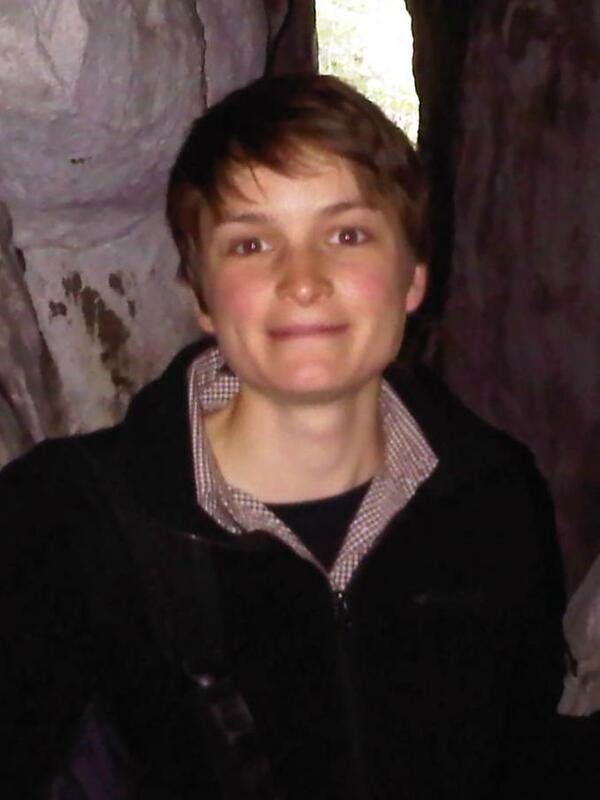 Co-Advisor of the Master student Franziska Ebel (MPI, defended spring 2013). Advisor of PhD student intern G. Ramakrishna (MPI, summer 2012). Advisor of Master student Vijay Ingalalli (MPI, defended autumn 2011). Co-Advisor of student intern Jong-Hyun Lee (MPI, winter 2011/12). Late-Breaking Abstracts chair at GECCO 2019. Tutorial Chair at PPSN 2016, together with Nicolas Bredeche. Invited speaker at GECCO 2017 Summer School, MENDEL 2017, JGA 2016, ALEA in Europe Meeting 2016, Artificial Evolution Summer School 2013 in Quiberon, France. Evolutionary Computation Conferences: EA 2019, GECCO 2019, IEEE CEC 2019, EvoCOP 2019,	PPSN 2018, IEEE WCCI CEC 2018, GECCO 2018, EvoCOP 2018, IEEE SSCI 2018, ICACI 2018, EA 2017, IEEE CEC 2017, IEEE SSCI 2017, EvoCOP 2017, FOGA 2017, GECCO 2016, PPSN 2016, IEEE WCCI CEC 2016, IEEE SSCI 2016 IEEE CEC 2015, FOGA 2015, GECCO 2014, PPSN 2014, IEEE WCCI CEC 2014, GECCO 2013, IEEE CEC 2013, GECCO 2012, PPSN 2012, GECCO 2011. Distributed Computing Conferences:	IPDPS 2017, ICDCN 2015, FoMC 2013 (co-located with DISC 2013). Smaller CS Conferences and Workshops:	ITAT 2019, BB-DOB@GECCO 2019, BOCIA 2018, BB-DOB@GECCO 2018, BB-DOB@PPSN 2018. Family Status: Married, two kids, born 04/2013 and 09/2015. CNRS researcher at the LIP6 laboratory, Sorbonne University (formerly Université Pierre et Marie Curie - Paris 6). Postdoctoral researcher at LIAFA (now IRIF), Paris Diderot University (Paris 7). My stay was supported by a Feodor Lynen Research Fellowship for Postdoctoral Researchers (Humboldt foundation). I have also been supported by the Robert Bosch Foundation, via their Fast Track program. The thesis has been awarded the Otto Hahn Medal of the Max-Planck-Society. Consultant with McKinsey&Company, Inc., Munich. From December 2009 until January 2012, I was on educational leave and have worked for McKinsey only on an occasional basis. AFS high school exchange student in Tobati, Paraguay. Page last modified: March 19, 2019.